10. 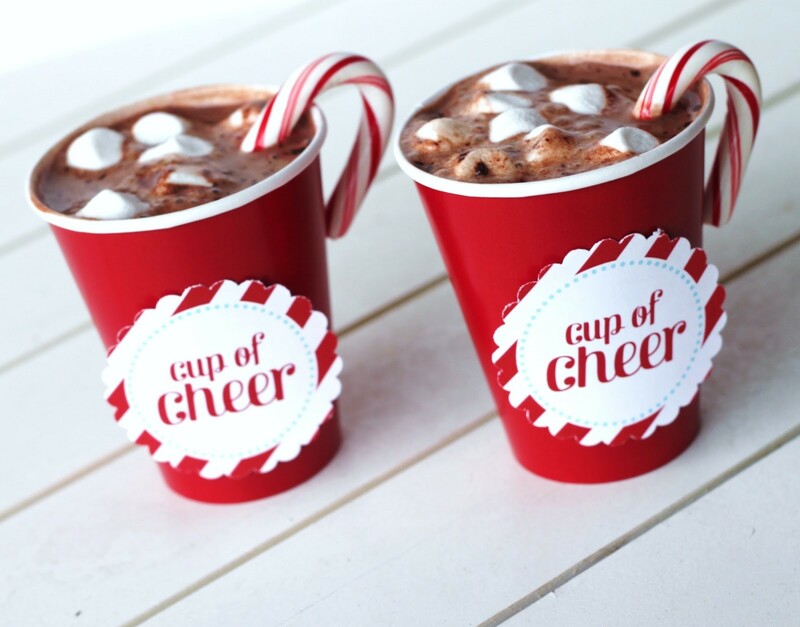 A small batch, handmade gift shows you care. Not just about the recipient, but about supporting small local businesses. 9. 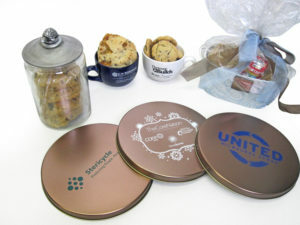 We can work with you to customize so you don’t have to worry about someone not remembering who gave them the amazing cookies. 8. Forget the crowded shops and parking lot nightmares, our website is open 24/7 right from the comfort of your sofa. 7. 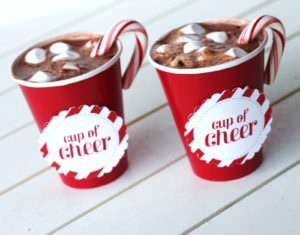 We sell out early, so you’re motivated to get your orders in early so you can sit back and relax in December and have time to fill up your cup of cheer. 6. 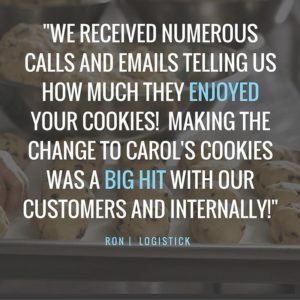 The feedback is astounding and the gift never misses, trust us! 5. You don’t have to stay up all night baking for your friends and family on your own. 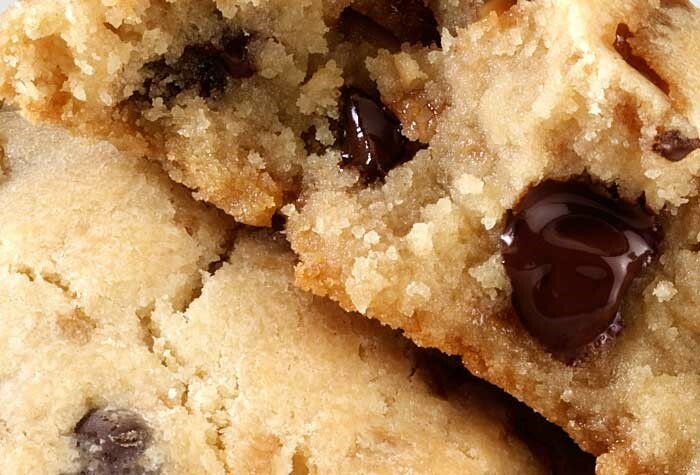 Our cookies are handmade just like the ones you’d make in your own kitchen so you can even take the credit! 4. If you want a gift that keeps giving, we’ve got you covered. Our Cookie of the Month Club delivers our nearly half pound, handmade cookies to someone’s door month after month. 3. The thanks you’ll receive would be unattainable having sent any other gift! 2. Who wants a fruitcake or a box of chocolate any more? 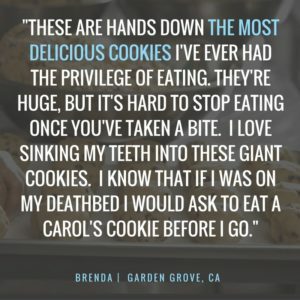 Homemade-style cookies will not be re-gifted or tossed in the dumpster by your recipients. 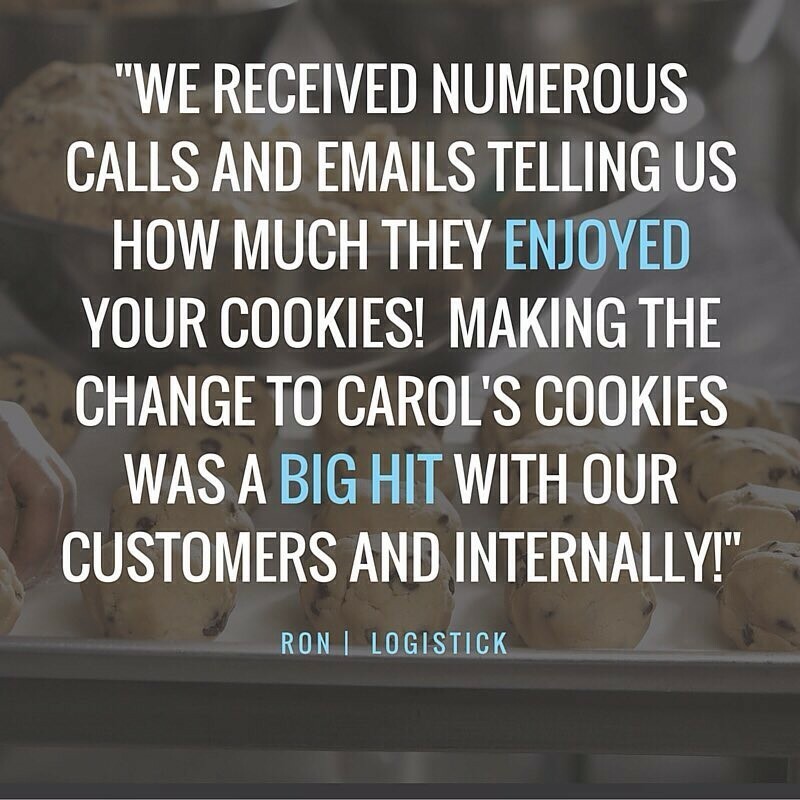 And the #1 reason why you should send Carol’s Cookies this holiday season…. 1. 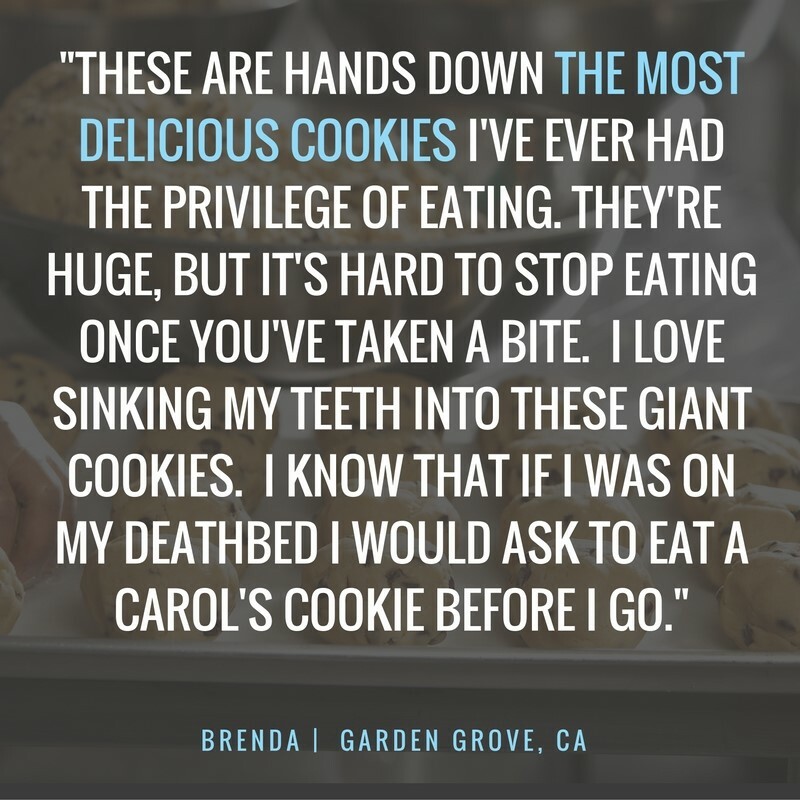 Our half-pound beauties can sweeten up any Scrooge during the holidays, and your recipients will be forever grateful for your thoughtfulness.